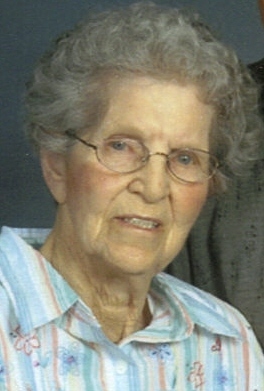 Mary G. Schroeder, age 84, died Saturday, January 12, 2008 at Edgewood Vista in Sioux Falls. Mary was born on November 14, 1923 in Montrose, SD to Roy and Carrie (Fessler) Allington. Her family later moved to Mitchell, SD where she received her education. On February 17, 1943, she married Wilfred Schroeder in Rapid City, SD. After living in Napa, CA, Rapid City and Mitchell, SD, the family moved to Sioux Falls in 1959. She worked several years at the Normandy Restaurant. Mary enjoyed spending time with her family, being a homemaker, playing cards, camping and doing crafts. Those left to cherish her memory are her husband: Will; six children: Dennis (Lavonne), Miles City, MT, Liz (Dave) Reimer, Nancy (Ken) Willemssen, Rick, Judy (Scott) Christensen, and Brad (Joy), all of Sioux Falls; fourteen grandchildren, nine great-grandchildren; a sister: Irene Robinson, Mitchell, SD; and numerous in-laws and other relatives. Mary was preceded in death by her parents, four brothers and four sisters. Visitation will be Tuesday, 5 PM at St. Michael Parish with a Scripture Vigil at 7 PM. Mass of Christian Burial will be Wednesday, 10:30 AM at St. Michael Parish. Memorials may be directed to the Alzheimer's Association and the American Cancer Society.